With all the vehicles out there, it can be a challenge to find the best cars for snow or best winter vehicles. To help shorten your search, we’re sharing a some popular used cars for the season. To meet the strict criteria of a good winter car, every vehicle on this list has heated front seats, rear defrost, traction control, and remote start. The Ford Fusion just missed our list of the top 10 4WD and AWD cars of 2016. However, this midsized cruiser has a solid reputation as a good choice for winter driving. The five-door sedan layout and 3,280-pound curb weight help this car feel stable and ready for rain or snow. Electronic stability control actively monitors the wheels’ grip situation in order to transfer power as necessary. Front MacPherson struts and rear multi-link suspension components keep passengers comfortable over rough surfaces. The Fusion SEL comes with a 240-horsepower, six-cylinder engine, which gives you plenty of power. Plus there’s a Sport model which gives you an all-wheel drive option. Drivers looking for cars that excel in winter weather should check out the well-equipped Chrysler 200. This sleek, midsized sedan has front-wheel drive and a smooth, nine-speed automatic transmission for gliding through the wintry elements without a lot of slipping and sliding. It’s equipped with a strong, optional V6 powerplant, and the 200’s active electronic stability control system detects wheel slippage and directs power to the wheels that do have traction to help keep the vehicle from veering off course. You and your passengers will be protected from the elements thanks to the 200’s heated front seats and dual-zone, automatic climate control system. The leather seats do a good job of retaining heat during brief stopovers at the store or post office. And, the 200’s remote start button lets you issue preemptive warm-ups from the relative comfort of your own home. The Nissan Versa might seem like an unlikely winter vehicle, but stick with us; this mid-sized sedan can confidently carve through dangerous winter conditions. The front-wheel drive configuration and 3,000 pound curb weight — lots of this is engine weight over the drive wheels—helps you keep the nose pointed in the right direction. It’s got a continuously variable transmission (CVT) that helps maximize your mpg and also helps to minimize slipping that can come along with manual or automatic gear changes. Equipped with all-season tires, the lighter-than-an-SUV Versa can stop quickly on uneven surfaces. For additional comfort, the automatic, dual-zone heating and air conditioning system helps keep your front and rear passengers comfy without you having to fiddle too much with the control knobs. 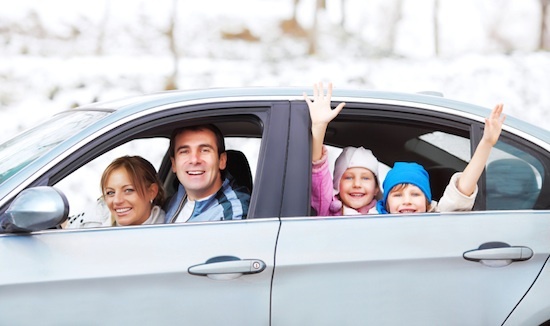 If winter weather has taken a toll on your driving confidence, you can find your mojo again with a car or truck that’s built to address tough weather conditions. Be sure to compare the driving features and overall vehicle configurations to pinpoint the vehicle that will serve you best — not just during the winter, but beyond the colder months. If you are looking for a winter cars and trucks come see as at Del Toro auto sales in Auburn and we can help you narrow the search with our great inventory selection.